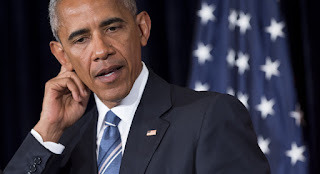 As you probably know, late last Friday afternoon President Obama vetoed a bill which had passed both houses of Congress unanimously, and Congress is now trying to work out whether it has enough clout to override the veto. I don't think it does. Behind Obama's veto lie very powerful reasons, and behind those reasons stand very powerful people. JASTA, the Justice Against Sponsors of Terrorism Act, would have allowed families of 9/11 victims to sue the government of Saudi Arabia for alleged complicity in the terrorist attacks if Obama had signed it. This could not, and cannot, be allowed to happen. 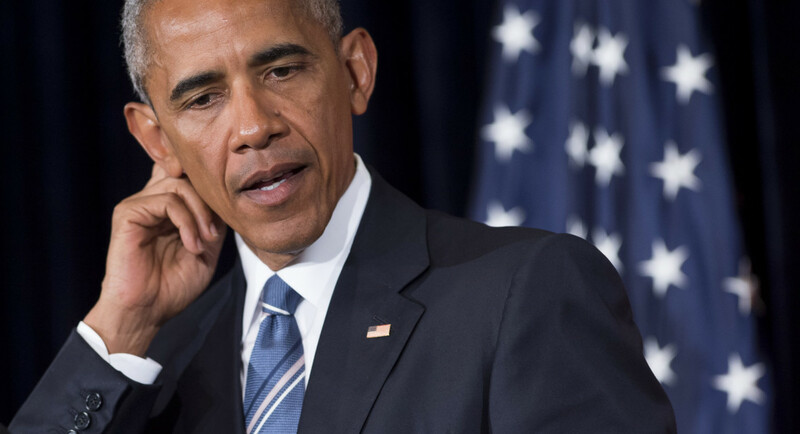 Obama expressed "deep sympathy" for the families and vetoed the bill. According to the maintstream media, the families don't understand why JASTA had to be deep-sixed. "The president's rationales to veto JASTA don't hold weight. They are 100% wrong," said Terry Strada, whose husband Tom Strada died in World Trade Center collapse. "For us, the 9/11 families and survivors, all we are asking for is an opportunity to have our case heard in a courtroom. Denying us justice is un-American." Well, perhaps "the president's rationales" weren't the real reasons. Perhaps politicians don't always say what they mean. And perhaps the mainstream "journalists" can't tell the difference. But then, neither can the "dissident" journalists. What goes on behind closed doors is another matter, and the entire House of Representatives is up for re-election in November. We can be sure they will feel all the pressure the bipartisan national security heavyweights can muster, as they consider the ramifications of a vote to override the Presidential veto. How many of them will stand their ground? I won't be surprised if we can count them without taking off our socks. But we shall see. The bipartisan national security heavyweights are protesting that JASTA might motivate foreign countries to sue the American government for acts of terrorism committed by Americans against their own citizens on their own soil. And this would be very bad for America, they say, because it could lead to "spurious lawsuits" against our men and women in and out of uniform, requiring them to take "a less forceful approach in dealing with state sponsors of terrorism" and thereby hindering them from keeping you and your children safe. “We continue to make a forceful case to members of Congress that overriding the president’s veto means that this country will start pursuing a less forceful approach in dealing with state sponsors of terrorism and potentially opens up U.S. service members, and diplomats and even companies to spurious lawsuits in kangaroo courts around the world,” Josh Earnest, the White House press secretary, said before Mr. Obama vetoed the measure. What does he mean by "spurious lawsuits"? Suppose a drone operator made a mistake and accidentally dropped a bomb in the wrong place, killing half a dozen innocent people. Should he be held responsible for his actions in a foreign court? Should the American government be liable for reparations? "Of course not!" say the bipartisan national security heavyweights. This is the realm of International Law, after all, where the guiding principle is "Sovereign Immunity." If you are new to International Law, you might assume Sovereign Immunity would mean citizens of a sovereign state are immune to violent attacks from foreign powers. But that would be an error. Sovereign Immunity actually means a sovereign state can do whatever it wants to the citizens of another state, with no legal repercussions whatsoever. 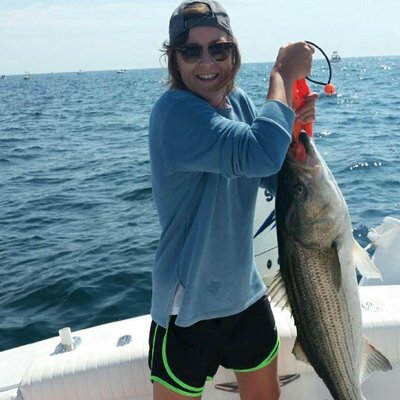 Sovereign Immunity means big fish can eat little fish whenever they get hungry. And the bipartisan national security heavyweights like it this way. So they don't want JASTA to threaten it. To the 9/11 families, this is not a problem. The say JASTA is specifically worded to include only acts of terrorism sponsored by foreigners against American citizens on American soil. What if there were a means for victims to seek reparations? What if there were a legal precedent for this? And what if the precedent were set by the United States? That's not the only problem. It's a big one, but it's not the biggest. I think it's the third biggest; clearly it's the one that the bipartisan national security heavyweights are least unwilling to talk about in public -- even if they only hint at it. The other two reasons are even darker. Aside from the question of Sovereign Immunity, there's another question, which is finessed more often than it's answered, and for good reason. What is terrorism? Or more precisely, Who defines terrorism? Allowing the definition of terrorism to become a matter for the courts would undermine the war on terrorism, according to the terror warriors themselves, but they only say this when they don't think anyone else is paying attention. The White House [...] argued the classification of terrorism should remain an executive authority, not become a question for the courts. Of course they would prefer to keep this fact as quiet as possible, since it's far too easy for people to put two and two together when they realize that the entire global war on terror is predicated on the notion that the President will both define terrorism and command the world's response to it. "If we do it, it's Good. If our enemies do it, it's Evil." If so, you've been paying attention. The official story of 9/11 is not only false but obviously false, indefensible, ludicrous, absurd. It cannot stand serious scrutiny of any kind, and it most certainly cannot stand up in a court of law. In a courtroom, as opposed to a press briefing room, witnesses are bound to tell the truth, and subject to cross-examination. There is no sure way to control the questions a lawyer might ask, or the answers a witness might give, or the direction in which a cross-examination might go. In a nation raised on television, in love with litigation and addicted to infotainment, the trial of a former football player accused of killing two people was enough to stop millions in their tracks for weeks. A generation later, to a population shocked out of its wits with terror, a 9/11 trial would be the spectacle of the century. Daily coverage would be inevitable. Hundreds of millions, maybe billions of people would be paying close attention. And just one question, or one answer, could be enough to bring the rickety official story crashing down on top of the people who built it. It would only take one sharp defense attorney. But I'd sooner see two. PROVE the 4 planes in question were scheduled to fly on 9/11. PROVE the 19 alleged hijackers were in the airports on that day. PROVE the 19 men boarded the 4 planes. PROVE they forced their way into the cockpits. PROVE they took control of the aircraft. PROVE they flew those incredible flight paths. PROVE the buildings disintegrated because they were hit by airplanes! THEN we can talk about who was responsible. This attorney would be very scary, of course, because the government cannot prove any of these things, let alone all of them. Everybody talks about what the Saudis did, but nobody wants to talk about why. Well, I'll tell you why. They did what they did because they were asked to do it. This is how things work. Friends do favors for each other. Requests are made. Requests are granted. And operatives don't ask questions. They had no idea that the people they were helping were going to be used as patsies. They were just following instructions. They didn't even know they were working for an ally, rather than for the kingdom directly. And it didn't matter. They only knew what they were supposed to do. This is how things work. Did the Bush administration know about it? Of course they did. Who do you think requested the favor? Who else could request such a favor? Why do you think President Bush and Prince Bandar were so close? Why do you think the White House shut down every investigation that ever started looking into anything connected to Saudi Arabia? Why do you think so many important Saudi families were allowed to leave the USA immediately after 9/11? Why do you think they got so much help? Why do you think the 28 pages were classified for so long? Why do you think the mainstream media keeps trying to make this story go away? And why do you think the government is so intent on keeping all this quiet that they will do absolutely anything to keep it out of court? Connect the dots. The 28 pages describe the cutouts who set up the patsies. The "hijackers" are just one part of the story -- the part we call "the legend." Now: Who created the legend? That's part of the story, too. And: What really happened? That's another part of the story. What would it take to expose the fraud? Maybe just one court case? Aha! Now you understand why Obama had to veto JASTA. seven countries in five years! In a free country, certain choices are available to all people -- theoretically, at least. In practice, various pressures do limit the choices of many individuals. But the essence of a free country lies in the fact that certain options are legally open to everyone. In particular, a free country allows a range of political philosophies, and every free citizen has the right to adopt and support the political philosophy of his or her choice -- or to invent a new one! Similarly, a free country allows a variety of religions, and every free citizen has the right to adopt and practice the religion of his or her choice -- or to create a new one! -- or to choose no religion at all! Without these rights, no country could ever be truly free. As we are often reminded, the Founding Fathers of the United States could see that this was the case, even though they had never experienced such freedom personally, and they created not only a new and better nation, but a new and better type of nation, which owes its special place in the world to the wisdom of their vision on this very point. In a free country, there are also people of different races. And in theory a free citizen may have the legal right to change his or her race, but in practice there is no way for anyone to do so. For this reason, we regard race as fundamentally different from religion or politics. In a free country, there are people of many (and vastly different) political philosophies: thus we have Communists, Fascists, Liberals, Conservatives, Socialists, Libertarians, Progressives, Populists, Zionists, Anarchists, and so on. A free citizen can adopt any of these political philosophies, and can openly express his or her opinions of each, identifying as pro- or anti-Communist, pro- or anti-Fascist, and so on, all the way down the list. Furthermore, we can change our political philosophies, and many people do. 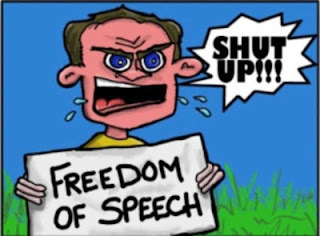 Thus we have Liberals who used to be Conservatives, Conservatives who used to be Liberals, Democrats who used to be Republicans, and many others who have changed their political philosophies and/or affiliations over the years, as they learned, or matured, or developed dementia, or whatever. Similarly, there are people of many (and vastly different) religions: we have Christians, Jews, Muslims, Hindus, Buddhists, and so on. Most religions appear in a variety of forms, and a free citizen can adopt any of them, or none at all. People are free to change their religion, and they do, although not as often as they change their politics. 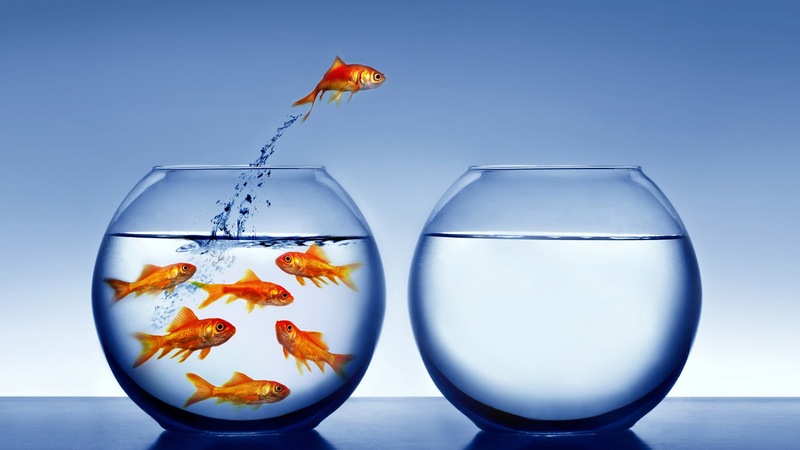 There may be fewer religious converts among us than political converts. But there are still many people who have switched from one religion to another, or abandoned religion entirely, or adopted a religion after having none. A free citizen can also form opinions on each of the religions, but these opinions are usually trickier to express than opinions about political philosophies. In general, it is considered more acceptable to criticize others over political differences than religious ones. Presumably this is because our culture recognizes that it's easier for most people to change what they think than what they believe. 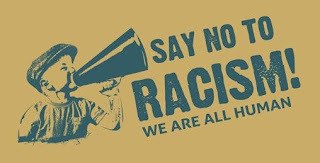 There are also people of many races, but no one can choose his or her race, let alone change it. So we have no Asians who used to be Latinos, no Blacks who used to be White, and so on. Our ancestors are our ancestors and our DNA is our DNA and there's nothing we can do about it. Legally, a free citizen has the right to form opinions on the basis of race, and clearly many people do so. But expressing such opinions is almost always considered intolerable, and acting on them in certain ways is illegal. Presumably, this is because our culture recognizes that people cannot change their DNA any more than they can change their ancestors. I think it's stupid to judge other people on the color of their skin, the shape of their eyes, the texture of their hair, or any other physical characteristic. Some of the best people I've ever met looked nothing like me, and I'm grateful to live in a free country where people of different backgrounds and with different physical characteristics can cooperate (most of the time) in peaceful ways (most of the time). But I do wish to point out a potential danger in the suppression of expression about racial matters. Think hypothetically with me for a moment or two, if you will. What would happen if the people of a free country became so confused that they no longer understood the fundamental differences between race, religion, and politics? What if they knew that political criticism was acceptable, religious criticism was tricky, and racial criticism was intolerable, but they didn't know why? In such a situation, if a political group -- that is to say: a group organized around a shared political philosophy -- could convince the others that their political philosophy was actually a religion, they would be difficult to criticize, because of the cultural pressure against criticizing people on religious grounds. And if they could convince the others that their political philosophy was actually a race, they would be impossible to criticize, because of the cultural taboo against criticizing people based on race. So simply by calling their critics "racists," they could obscure the fact that the criticism was political, if they didn't silence the critics altogether. 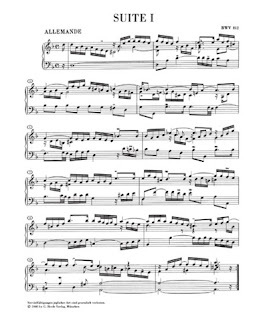 Of course such a state of affairs could only come about by the merest coincidence, as no one could foresee, let alone engineer, such a situation. But if by some chance it did come about, the political group in question could implement vicious policies, with virtually no public opposition. And if those policies were not only vicious but also racially motivated, we would have either the most bitter irony in human history or the greatest scam ever devised: a political group implementing vicious racist policies while suppressing political opposition by calling its opponents "racists." Thanks to Abby Ohlheiser of the Washington Post, we know that this was not a mistake. Facebook deliberately misled its users. We also know how and why it happened. The 15th anniversary of 9/11 wasn't completely dominated by pathetic failures. There were a few encouraging successes, points of light amid the gathering darkness, if you will. Four authors promoting 9/11 Truth wrote a good article and got it published in a very respectable publication! The article is called: "15 Years Later: On The Physics Of High-Rise Building Collapses." It's short, clear, and to the point, and it demolishes the official story very neatly. I encourage you to read it if you haven't already done so, and to share it with all your friends, if you still have any friends who believe the official story. An article about this paper reached a worldwide audience! The proprietor of a Brooklyn cafe brushed off intense pressure from local religious groups and refused to cancel a scheduled appearance by an independent 9/11 researcher! Instead she wrote a letter explaining her decision and posted it on the cafe's website. It's no longer available there, but The Wayback Machine remembers. Congratulations and thanks to Melissa Ennen, of the Brooklyn Commons! The event she refused to cancel featured Christopher Bollyn, and I don't agree with everything he says, but I do support his right to say it in public. I also support the same right for everybody else who has something to say, whether I agree with them or not -- especially if they're speaking about a pivotal event in world history, the facts of which must be suppressed. 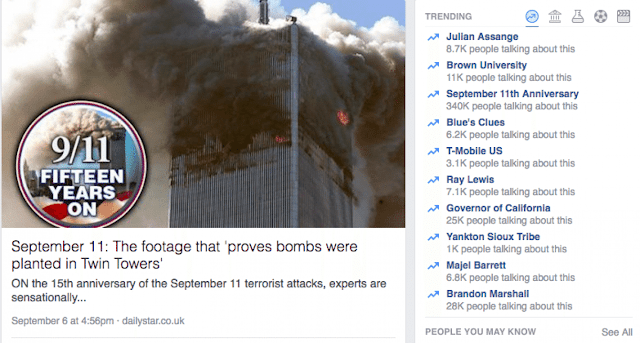 Number 2 : Abby Ohlheiser, the Washington Post, and Facebook, for "Facebook’s trending topics promoted an article ‘truthering’ the Sept. 11 attacks"
ON the 15th anniversary of the September 11 terrorist attacks, experts are sensationally claiming it is impossible that the towers were brought down by planes. Instead, leading engineers believe the Twin Towers may have collapsed due to a "controlled demolition" – something it is claimed there is video evidence to support. They disagree with the investigation done by the U.S. National Institute of Standards and Technology (NIST) that was launched in August 2002. Video evidence – which was made by people with a similar theory – has been posted online and seeks to offer proof. Seriously? This is Abby Ohlheiser? September 11: The footage that 'proves bombs were planted in Twin Towers'. That six-year analysis of what caused the collapse also looked at the lesser known World Trade Centre 7 building, a third building that sat right next to the towers and fell at 5.20pm on the afternoon of September 11 – more than six hours after the two skyscrapers tumbled to the ground. The fires were apparently sparked by jet fuel that caused huge fires to engulf the upper floors after American Airlines Flights 11 and 175 smashed into the structures in a series of coordinated attacks on the morning of September 11, 2001. But since the NIST investigation concluded, it has been pointed out that buildings like the World Trade Centre were specifically designed to withstand a fire and huge impacts like a plane hitting them. As you may know, Facebook has built its success on a foundation of really good ideas, and one of those ideas was to give their users an easy way to "feel the pulse" of the Internet, so to speak. The idea is: With a bit of research, one could answer questions such as: What subjects are people talking about? and What are they reading? The answers to these questions could be used to create a list of links, and that list could appear on the user's sidebar, under the heading "Trending Topics." It was a fantastic idea, and they hired some people to do it, and it worked out great! But there was a problem. The problem was not in making the list but in keeping it up to date. 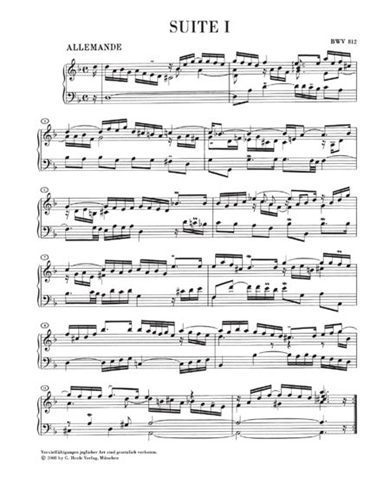 That was difficult and expensive and required a large staff working more or less continuously, and wasn't this the sort of thing that could be done by software? Well, of course it could. But they didn't have the software, so the software had to be developed, and now it's ready, or at least it's ready enough to be deployed. So Facebook has replaced the people who used to maintain "Trending Topics" with a computer program. Presumably because this software has only recently been developed, it's still a little bit naive, so to speak. That is to say, it was probably written to do what it was supposed to do. Stories like this come up frequently, and they illustrate both the strength and the weakness of doing things by computer. A computer does what it's told: quickly, cheaply, precisely, and reliably. If it does the wrong thing, it usually means it was following the wrong instructions. And there's the rub. A computer is "smart enough" to follow instructions, but it's not smart enough to know when its instructions are wrong! You would be surprised (or maybe you wouldn't) at how often newly developed software is perceived as "faulty" because it was designed according to specifications which did not accurately reflect the needs of the people who had commissioned it. This has happened so often to me personally that I have come to expect it. In the current instance, the case of Facebook's "Trending Topics," the programmers apparently designed the code to search and sort, building its lists according to the criteria I described above, and giving no attention to certain "hidden assumptions" which human editors take for granted. In particular, the software didn't know that the facts of 9/11 must be suppressed. Rachel O'Donoghue's piece appeared on Tuesday, September 6, and within a few days it attracted so much attention that Facebook's software noticed it. But the software failed to perceive that the headline, "September 11: The footage that 'proves bombs were planted in Twin Towers'" could potentially be politically volatile. Needless to say, this is an error that no human editor would ever make, but the software was just too dumb to pick up on the implications of the headline, or to read the article and find out what it said. And nobody was supervising it. The software was "flying solo." And if they clicked on this, they could read Rachel O'Donoghue! 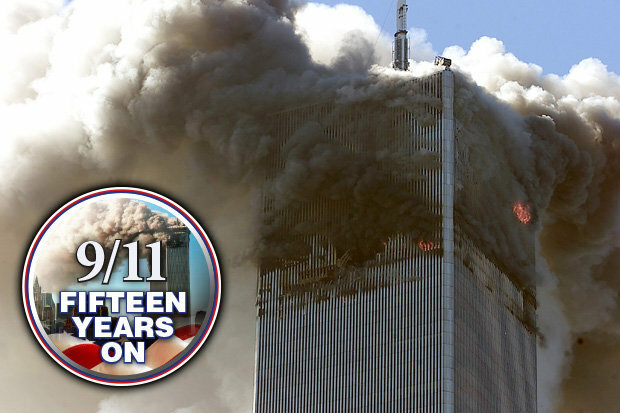 The Daily Star piece promoted by Facebook repeats a lot of common claims from 9/11 “trutherism,” a conspiracy theory based on an idea (unsupported by any actual evidence) that the World Trade Center must have collapsed in 2001 because of a “controlled demolition” and not from the damage caused by the airliner crashes. Is this correct? Well, no! Unfortunately for Abby Ohlheiser, the Daily Star piece by Rachel O'Donoghue documents "actual evidence" of explosives in the towers, the existence of which Abby Ohlheiser flatly denies! 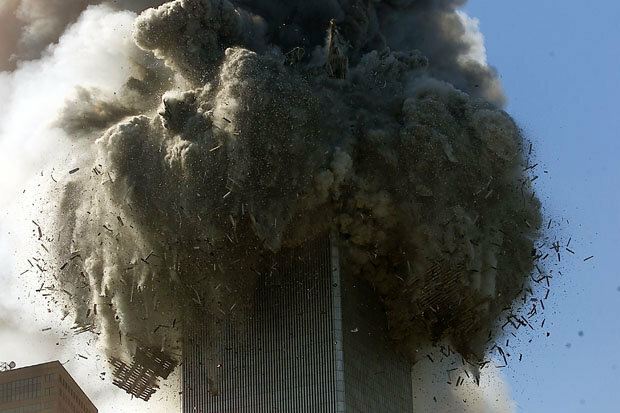 Engineers Steven Jones, Robert Korol, Anthony Szamboti and Ted Walter are part of the growing community of experts who say evidence indicates the towers were brought down in a controlled demolition. They wrote a paper for Europhysics News highlighting four important pieces of evidence pointing to this conclusion. – And they are designed so that if compromised, they do not collapse. They go on to point out that the towers were actually designed to stay standing in the event of seismic activity, such as earthquakes, and incredibly high winds. Shortly after The Intersect [i.e. Abby Ohlheiser] reached out to Facebook for a comment on the matter, the article disappeared from Facebook’s page for the topic. 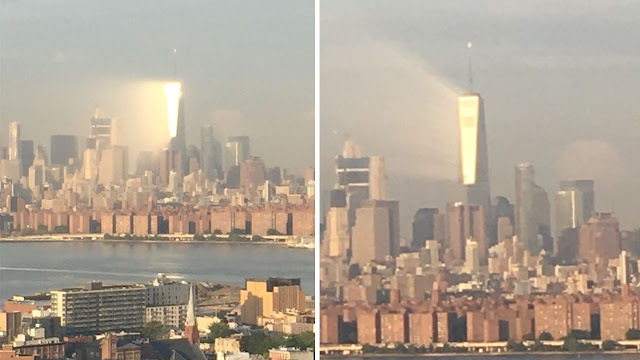 The lead article switched to a local news piece about a photograph showing beams of light bouncing off One World Trade Center. The misstep comes weeks after the company removed the human editors who used to describe and curate the site’s trending topics, leaving the task of providing context for those topics to an algorithmically selected article from another site. As this most recent example illustrates, the algorithms haven’t always been up to the task. "Algorithm" is a fancy name for a set of instructions. And one question which suggests itself is: Have the algorithms really failed in their task? I can't help thinking the answer depends on how the task is defined. If the task is to promote the topics that the greatest number of people want to read about, and the articles that the greatest number of people are reading, that's one thing. If the task is to prefer relatively safe topics and politically acceptable articles, even if fewer people are reading them ... well, that's different. And I humbly suggest that this difference was the cause of Abby Ohlheiser's discomfort. In an alternate universe where we had a free press and free social media, "trending" would mean "trending," just as "topic" means "topic." The most popular article under each topic would appear on the sidebar. And if people started learning about facts that the supporters of an absurd and murderous story wanted to suppress, that would be just too bad for them. In such a universe, when Abby Ohlheiser "reached out" for a comment, the Facebook spokeswoman would say, "We are in the business of facilitating -- not impeding -- connections between our users and the rest of the world. We will not bow to pressure from politicians, nor from journalists, nor from anybody else. And you will just have to grow up and accept the fact that 'trending' means 'trending,' which is not always the same as 'trending and pleasing to you.' We thank you for your understanding, and we hope that in the future you will not waste any more of your time on similar complaints." But of course we live in the real universe, so Facebook declared Rachel O'Donoghue's piece a "hoax" and removed the link. Later, according the the spokeswoman, Facebook removed the whole "September 11th Anniversary" topic, which, as you can see in the screenshot preserved by Abby Ohlheiser, was at the time the most popular topic on the list by far, leading an NFL player who had not stood during the national anthem the previous evening by a margin of 340K to 28K. Hoax? What hoax? The official story is a hoax! 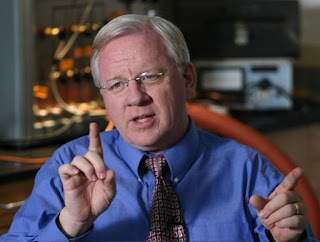 John Skilling, the chief structural engineer of the World Trade Centre, even admitted in 1993 – eight years before the disaster – they were made to specifically withstand the force of a jet hitting them. In an interview with the Seattle Times he said: "Our analysis indicated the biggest problem would be the fact that all the fuel (from the airplane) would dump into the building. There would be a horrendous fire. A lot of people would be killed [but] the building structure would still be there." He then commented that in his view, the only thing that could bring them down would be explosives of some sort. Eyewitness accounts describing the aftermath of the attacks supports the theory explosives were planted inside the towers. Shortly after the planes hit, numerous interviews were recorded in which people who had been inside the World Trade Centre said that when they ran down from the upper floors they found the lobby had been completely destroyed. Some also described finding people who had not been upstairs with "their faces blown off". Eyewitnesses who describe the lobby as completely destroyed, and statements about people who had "their faces blown off" despite not having been upstairs, pose a grave danger to Abby Ohlheiser and her contention that the "conspiracy theory" is "unsupported by any actual evidence" and threaten Facebook's assertion that Rachel Donoghue's article is a hoax. But all these bits of suppressed evidence certainly corroborate the story Bob McIlvaine tells about his son Bobby. Had Abby Ohlheiser not made such a big stink about Rachel O'Donoghue's piece, I probably would not have seen it, and I wouldn't be able to share the details with you here. But this is Abby Ohlheiser's game, apparently -- monitoring other "reporters" and complaining if they happen to cross one of her invisible lines. Fortunately, if she can bend them to her will, she's not content to let the matter rest. She uses her platform to tell everyone what has happened, even if it means bringing attention to the very thing she is trying to suppress. the false impression that the "Topic"
So, even if we stipulate that Abby Ohlheiser prevented a very large number of people from reading Rachel O'Donoghue's piece, she still qualifies as a fail in my book for two reasons. First, she gave the world a screenshot showing Rachel O'Donoghue's headline and the name of her paper, so that everyone could see what had been published and where to find it. Now all her readers -- and both of mine -- know all about it. 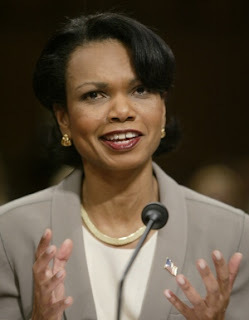 Second, she has shown us very clearly how easily Facebook can be manipulated into suppressing vital evidence in a case of mass murder, and who she is and what she wants, and the same about the Washington Post, and the same about Facebook -- which may be important if anyone is still in doubt. Had Facebook not turned tail and fled, its users would have found it easier to maintain the illusion that they have a free press and free social media. But they might have learned a thing or two as well, and no doubt here lies the perceived danger. Certainly Facebook's part in this story proves one thing: Even if you can't please everybody, you can certainly displease everybody. Those who aren't angry at Facebook for linking to Rachel O'Donoghue are angry at Facebook for taking down the link and calling the truth a "hoax". Or at least they should be. Had Rachel O'Donoghue not mentioned her source, I might not have found the article she was writing about. Some 156 witnesses, including 135 first responders, have been documented as saying that they saw, heard, and/or felt explosions prior to and/or during the collapses. That the Twin Towers were brought down with explosives appears to have been the initial prevailing view among most first responders. “I thought it was exploding, actually,” said John Coyle, a fire marshal. “Everyone I think at that point still thought these things were blown up”. When John Coyle says, "Everyone I think at that point still thought these things were blown up," the words "at that point" and "still" indicate the power of the propaganda machine behind the official story. Even though they lived through it, many of the first responders became convinced in the aftermath that their perceptions of the day's events had been wrong! And yet! Popular support for 9/11 Truth endures, even after 15 years of relentless and powerful propaganda, partially because so many people know about the evidence that the perpetrators and their accessories after the fact are trying to suppress. We can see what they're trying to do. We can figure out why. And we're not going away anytime soon. Sorry, Abby! You lose! And so does your sad excuse for a newspaper. Sorry, Washington Post! If you don't tell the truth about something important soon, I may quit letting you use my initials! Sorry, Facebook, You lose, too! Everyone can see where you stand and why. "Oh, my!" Ladies and gentlemen, allow me to present: three pathetic losers on the wrong side of a bloody red line marked "mass murder for profit!" 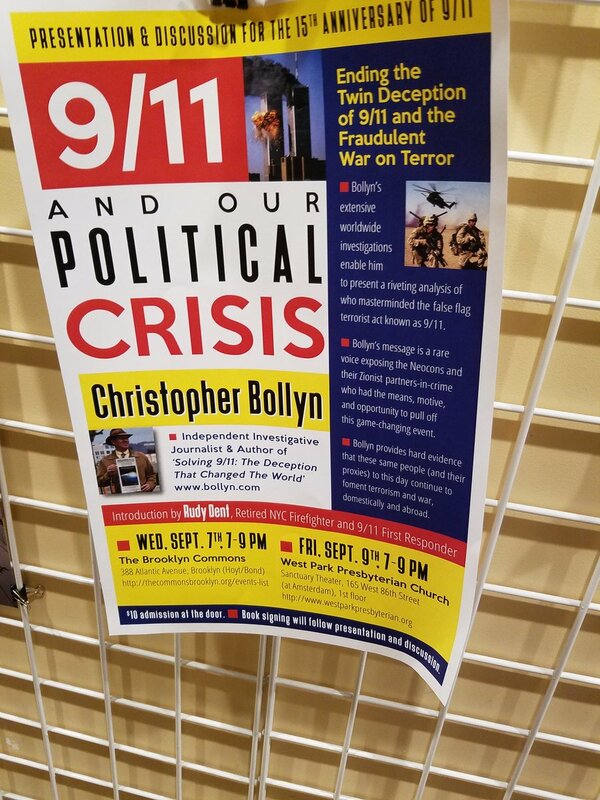 Number 3 : Sam Kestenbaum, Naomi Dann, and the Forward, for "Progressive Brooklyn Space Won’t Dump ‘Anti-Semitic 9/11 Conspiracy Nut’," "9/11 Anniversary Sparks New Wave of Anti-Semitic Conspiracy Theories," "The Jewish Left Needs To Call Out Real Anti-Semites Like Christopher Bollyn," and "9/11 Conspiracy Theorist Chris Bollyn Blames Terror Attack on ‘Zionist War Agenda’ in Brooklyn Speech"
Robert Bridge wrote as if the official story of 9/11 were obviously true and had never been seriously challenged, for readers who know better, and got called on it, repeatedly. Jack Holmes attacked 9/11 Truth on the evidence, claiming to "disprove" the "conspiracy theories," but proving only that he had nothing credible to offer. Matt Kwong tried to explain why so many people are still concerned about 9/11 Truth without even considering the possibility that the official story might be false. Since this required him to ignore significant and relevant evidence, including some which he himself presented, the result was unconvincing, to put it mildly. Now we turn to accessories after the fact using a different strategy, attacking 9/11 Truth by subtraction. Rather than adding their voices to the discussion, they're using their voices to try and prevent other voices from speaking. Or: they can't compete with 9/11 Truth, so they're trying to suppress it. In this installment, we will consider an attack which was intended to prevent an independent researcher from speaking in a public space, by inciting so much opposition that the space hosting the event would be forced to cancel it. The space is called Brooklyn Commons, the researcher is Christopher Bollyn, and the accessories after the fact were connected with the Jewish newspaper, "The Forward." A progressive gathering space in Brooklyn is sticking by its decision, despite widespread condemnation, to host a talk by a conspiracy theorist who has blamed Israel and Jews for the 9-11 attacks on their 15th anniversary. 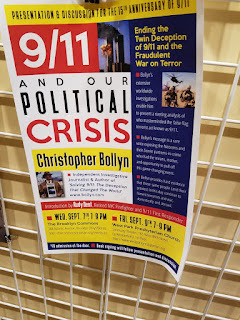 In case you're not aware, Christopher Bollyn is not only "a conspiracy theorist who has blamed Israel and Jews for the 9-11 attacks." He's also been identified by the Anti-Defamation League as a "prominent voice in anti-Semitic conspiracy theories," and described by the Southern Poverty Law Center as "a raging anti-Semite." according to Daniel Sieradsky of jewschool.com. On what evidence does Bollyn base his allegations? That's what all these people were trying to prevent him from talking about! 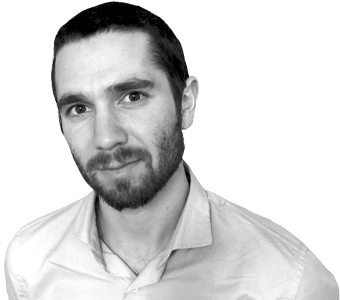 The first attempt didn't produce the desired result, so Sam Kestenbaum tried again the next day with "9/11 Anniversary Sparks New Wave of Anti-Semitic Conspiracy Theories," which follows the pattern of ad-hominem attack established in the previous article, but packages it in a more concise way. It’s heartening that there have been so many calls from progressive organizations and leaders calling for the cancellation of the event, and extremely disappointing to see that the Commons has refused to cancel it. Having said this, she goes on to explain how we can tell the difference between "anti-Zionism," which the Jewish Left allegedly tolerates, and "real anti-Semitism," which Jews of all political leanings are urged to fight at every turn. There should be a clear line between criticizing the policies, actions and even ideology of the state of Israel, and criticizing the Jewish people or religion. Thus: One may criticize Israel's policies, the actions that flow from those policies, and the ideology that gives rise to both, because such criticism is merely "anti-Zionism." But no one may criticize the people who promote that ideology, establish those policies, or carry out those actions; nor may anyone criticize the religion that gives rise to the ideology behind the policies, because such criticism is "real anti-Semitism." If this is not immediately clear to you, then you're probably reading it correctly. I think it means I can say the Palestinians are being viciously abused, provided that I don't identify the abusers or mention the grounds on which the abusers attempt to justify their vicious behavior. For us to expect others to understand that distinction, our communal leaders also have to stop acting as if any criticism of the state is an attack on our people. It does not help us fight truly dangerous anti-Semitic narratives when the state of Israel claims to represent all of us Jews, nor when American Jewish organizations use the power that they have to silence criticism of the state. I am impressed by the depth to which Naomi Dann seems unaware of the contradiction: she's complaining about what happens "when American Jewish organizations use the power that they have to silence criticism of the state" of Israel, while urging American Jewish organizations to use their power for that very purpose. So in effect Naomi Dann is saying, "It doesn't help us when we do what we're trying to do, but it's essential that we do it anyway." 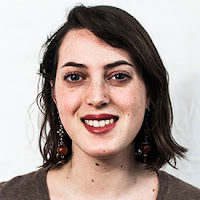 Perhaps I could help Naomi Dann to find a way out of her self-imposed maze, by suggesting that when "the state of Israel claims to represent all Jews," it may not be especially motivated by a desire to "help" the American Jewish Left "fight truly dangerous anti-Semitic narratives." To me it seems more likely that the state of Israel claims to represent all Jews because in this way it can coerce the American Jewish Left into fighting against anti-Zionist narratives. In other words, as I see it, many Jews who claim to oppose Israel's policies and actions are nonetheless pressed into service as human shields, and active shields at that, trying to stifle anything -- a news report, a opinion piece, a public speaking engagement, or whatever -- that might reflect badly on Israel, for fear that the anger that might be generated by widespread knowledge of Israel's policies and actions might fuel a wave of general anti-Semitism. I believe this because they keep saying it. And I think this coercion comes about precisely because "the state of Israel claims to represent all Jews." To make a long, pathetic story short: They didn't manage to get the event in Brooklyn canceled, although similar pressure did result in the cancellation of Bollyn's invitation to speak at Busboys and Poets Café in Washington, according to Daniel Sieradsky. 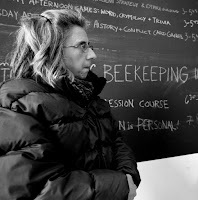 As it turned out, Bollyn's presentation at Brooklyn Commons was attended by only about two dozen people, some of whom came to disrupt the event, as Sam Kestenbaum was pleased to report from the scene. So one must ask: How many people did the Forward and its friends scare away? Any? And what would they have accomplished had they managed to get the event canceled, other than depriving two dozen people of the opportunity to listen to Bollyn for a couple of hours? As far as I can tell, nobody is trying to refute Bollyn's allegations, though many are trying to prevent his voice from being heard. And it's clear that refuting his allegations would be more convincing than trying to prevent him from speaking. So we can infer that they would refute him if they could, and they're trying to prevent him from telling us what he knows because they can't dispute what he has to say. It's a logical conclusion, and easy to reach, so I wouldn't be surprised if at least two dozen readers, finding the Forward's coverage on the Internet and intrigued by the hallmarks of a coverup, did a bit of exploring, downloaded Bollyn's book, and did some reading at his website, to which Naomi Dann linked. So what is the net gain to the Forward? to Sam Kestenbaum? To Naomi Dann? On one hand, they've demonstrated to their "communal leaders" that they can be trusted to stand and fight on command. On the other hand, they've demonstrated to the rest of us that (1) they're highly motivated by fear of a hypothetical future in which some of the consequences of 9/11 might be borne by innocent people who happen to share the same religion as the perpetrators, but (2) they have no problem with a real present in which the horrible actual consequences of 9/11 are borne by innocent people who happen to share the same religion as the scapegoats! I recall a presentation several years ago in which Christopher Bollyn said he never had a problem with Israel, even lived there for a while; and never had a problem with Jews either, until he started investigating explosions in the WTC, at which point he started getting pressure from Jewish groups. At first he wondered why Jewish groups, in particular, would try to keep him from looking into the destruction of the towers. But the more he dug, the more Israeli connections he found, and the less he wondered. That's Bollyn's story, as I remember it, and you may choose to believe it or not. It sounds loopy, but I had a similar experience. I never had any problem with Jews either, until I started blogging about evidence of explosions in the WTC, at which point I started getting pressure from other bloggers and readers who identified themselves as Jewish. It was this pressure which prompted me to entertain, for the first time, the possibility that the people who were talking about Israeli complicity in 9/11 might know what they were talking about. So it seems to me that if they're trying to suppress the facts, drawing attention to the people who are trying to disseminate those facts is a losing strategy. On the other hand, they can't very well anger their "communal leaders" by not trying it. In any case, it was a total fail. They didn't get the event canceled, they gave a "raging anti-Semite" a moment in the anti-Semitic sun, and they revealed themselves and their followers to be transparent hypocrites. Sorry, Sam! You lose! Your pathetic attack failed, and you wound up using your platform to publicize the very allegations you were trying to suppress. Sorry, Naomi! You lose, too! You're trapped behind the imaginary line you're trying to draw, but so caught up in your own contradictions that you don't even realize it. After their arrest, the men were held in detention for two-and-a-half months and were deported at the end of November, officially for visa violations. However, a counterintelligence investigation by the FBI concluded that at least two of them were in fact Mossad operatives, according to the former American official, who said he was regularly briefed on the investigation by two separate law enforcement officials. Spokesmen for the FBI, the Justice Department and the Immigration and Naturalization Service refused to discuss the case. Israeli officials flatly dismissed the allegations as untrue. However, the former American official said that after American authorities confronted Jerusalem on the issue at the end of last year, the Israeli government acknowledged the operation and apologized for not coordinating it with Washington. The five men — Sivan and Paul Kurzberg, Oded Ellner, Omer Marmari and Yaron Shmuel — were arrested eight hours after the attacks by the Bergen County, N.J., police while driving in an Urban Moving Systems van. The police acted on an FBI alert after the men allegedly were seen acting strangely while watching the events from the roof of their warehouse and the roof of their van. In addition to their strange behavior and their Middle Eastern looks, the suspicions were compounded when a box cutter and $4,000 in cash were found in the van. Moreover, one man carried two passports and another had fresh pictures of the men standing with the smoldering wreckage of the World Trade Center in the background. And so on. I've omitted Marc Perelman's most obvious attempts to spin the story in an innocent direction, just as Marc Perelman described the men as "acting strangely" rather than admitting that they attracted attention to themselves by dancing, exchanging high-fives, flicking their lighters, and photographing one another against the backdrop of the burning towers. Marc Perelman's story hints that the behavior of these five men was probably innocent and misinterpreted, and he repeated the same claim in a subsequent interview. But if that were true, they would never have been noticed, let alone arrested. Plenty of people were acting strangely that day. But the others weren't dancing, high-fiving, flicking their lighters, or taking souvenir photos. Your freaking Mossad agents went on Israel live TV and said "our purpose was to document the event" wtf is everyone suppose to think of that? wtf indeed! If you think he's kidding, watch this short video. The story of the five dancing Israelis is the tip of the iceberg called "Israeli complicity." Number 4 : Matt Kwong and the CBC, for "Why the '9/11 Truth' movement endures 15 years later"
As we saw in the previous installment, when Jack Holmes tried to prove the Truthers wrong on all major points and failed dismally, a head-on, evidence-based attack on 9/11 Truth is sub-optimal strategy. In this episode, we we turn to an accessory after the fact who set himself a much different task, but failed anyway. Presumably because he's too smart to attack the Truth Movement from the front, Matt Kwong of the CBC comes at it from the rear. Rather than taking on the evidence, which did no good at all for Jack Holmes, Matt Kwong turns to time-honored journalistic tactics: smear and innuendo, woven together with sleight-of-hand that would have made a magician drool if it had worked. The result is not merely a pathetic fail but a nasty one -- a transparently ugly smear against the people who want to know the truth about 9/11, and especially against Bob McIlvaine, who lost his son Bobby that day. Bob McIlvaine has been trying to find out what happened to Bobby, and trying to get people to care about what happened to all of us, for the past 15 years. To those of us who have followed the story, Bob McIlvaine is something of a role model -- because he didn't believe the lies he was told, and he didn't cower when he was told to sit down and shut up, and he's been waging an uphill battle for a long time, and he hasn't quit. But because of where, and when, and how Bobby McIlvaine died, Bob's efforts cannot be praised, only denigrated. This is how far we have fallen. Robert McIlvaine knows better than to talk, unsolicited, about the research he pores over at home in Oreland, Pa. [...] it's the circumstances around the attacks — specifically, McIlvaine's beliefs about precisely how the world-altering event unfolded — that he's cautious to discuss. [...] "My wife doesn't take me out; doesn't go with me anymore because she's afraid I'll bring it up with friends," he says. [...] "No one wants to talk about it," McIlvaine says. "It's like you have leprosy." ... and so on. But there's a mystery. If no one wants to talk about it, why are people still talking about it? in Washington on April 8, 2004. There must be a reason. What could it be? ... Well, maybe it's the Internet! The official account says McIlvaine's eldest son [...] was [...] on the 106th floor when American Airlines Flight 11 struck the north tower. McIlvaine suspects otherwise. Based on injuries his son sustained, including to his face and chest, he maintains Bobby was killed by an explosion, possibly before the plane crash. As Bobby was among the first 10 bodies found, he says, McIlvaine believes his son was in the tower's lobby. "If he was on the 106th floor, he wouldn't have been found so quickly." I think Bob's kidding himself. In my view, if Bobby was on the 106th floor, he probably wouldn't have been found at all! But that's not the real issue. The real issue is the condition of Bobby's body. "Injuries [...] to his face and chest" hardly qualifies as an accurate description of the wounds. Matt Kwong doesn't give you enough details to help you understand this aspect of the story. But if you do some research to supplement his so-called journalism, you can learn quite a bit, fairly easily. Matt Kwong could have told you this; anyone familiar with the stories of the 9/11 families could have done the same. Bob's been speaking in public for a long time, and his story about Bobby -- unlike the official narrative -- hasn't changed. He certainly wouldn't have been reluctant to tell Matt Kwong why he thinks what he thinks. But Matt Kwong can't (or won't) tell you all this. And the reason is simple: If you focus on two things -- what Bob knows about his son's death, and the official explanation behind the attacks -- you can't help seeing the basic contradiction: How could Bobby have been killed by an explosion if there were no explosions? But Matt Kwong doesn't tell you about Miss Rice's testimony. And he certainly wouldn't want you to see a video of her being questioned. Matt Kwong won't show you video evidence of the other family members who were outraged at the hearings, either. McIlvaine began to dig on his own for answers online, watching web documentaries such as Dylan Avery's 9/11 truth staple, Loose Change, as well as reading more American history. And this was the dangerous, slippery part. 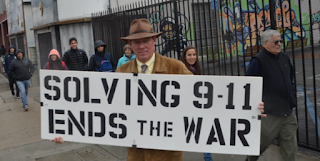 By daring to educate himself, Bob McIlvaine put himself in danger of becoming what's called a "conspiracy theorist," of the noxious variety known as "9/11 Truther." In this piece, I have shuffled the order somewhat, separating Bob McIlvaine's story (which we've been reading) from the conspiracy theory research (to which we now turn). "People who are more personally distrustful tend to buy into conspiracy theories more," says Mike Wood, a Canadian lecturer at the University of Winchester in England specializing in the psychology of conspiracy theories. Research also shows conspiracy theories tend to reach peaks around "times of uncertainty," according to Wood. In the case of something as extraordinary as a 9/11, an event resulting in thousands of lost lives, a massive reshaping of the iconic New York skyline and two wars, he says the conventional narrative may be tough to swallow. It certainly is. And there's nothing wrong with this analysis as far as it goes. But where does it go? Dave Thomas may be Skeptical, but I fear he's not quite skeptical enough! It may be true that "Americans had never heard of al-Qaeda or even Afghanistan before 9/11," and it may be true that "alternative explanations filled the vacuum," but there's no causal connection here, because there's a link missing. As the attack was unfolding, and in the immediate aftermath, there was no vacuum. There was an avalanche. No matter where you turned, the news kept talking about Osama bin Laden and al Qaeda and Afghanistan, and the country was ready to go to war before the dust had settled. The vacuum came later, when more and more people began to see through the lies that comprise the official story. That's when "alternative explanations filled the vacuum." As time went on, we learned more and more about the official story, and the more you know about it, the less credible it is, so the number of people who questioned it -- or rejected it outright -- grew. Some people started reading American history, just like Bob did. And what they learned was shocking ... until all the pieces started to click into place. And suddenly, the nonsensical official story made perfect sense to them, once they saw it as an elaborate deception rather than a series of unprecedented failures. Had the official story been credible, none of this would have happened. If the story had been even halfway believable, most of us would have been happy to believe it and get on with other things. But that didn't happen. I can explain what did happen in a parable. Think of this mystery as a "connect-the-dots" puzzle. From the day of the attack (or earlier in some cases), we started taking note of important dots, and wondering what they could mean. As the official story became clearer, we looked at how the dots were being arranged, and how they were being connected, and how many of the dots weren't being connected at all, and we started to wonder. But when we realized how many of the dots had been erased, we stopped wondering, because we knew those dots didn't erase themselves. So it's far more accurate to say the vacuum was caused by the holes in the official story. The fact that "some Americans had never heard of al-Qaeda or even Afghanistan before 9/11" doesn't make any difference at all. But Matt Kwong can't tell you that. Instead -- if we want to follow his story -- we have to think backwards. This claim is clearly false. The New York Times published an oral history of 9/11, compiled by the NYFD, in which more than 100 first responders described bombs in the towers, or gave other evidence that can only be explained by explosions. Numerous other eyewitnesses, who were interviewed on the day and later, described the explosions they experienced. There are videos in which we can see and hear explosions going off in the buildings. Mainstream media reports on the day of the attacks contained many mentions of explosions. And the whole world watched the towers exploding on television, over and over and over -- for two weeks! But according to defenders of the official story, none of this happened -- even though much of it, including the NYT oral history, is freely available online. And the reason why they claim none of this happened is because the official story-tellers couldn't figure out a way to explain how al Qaeda could have planted explosives in the towers. Their line of backward thinking ran: al Qaeda did it; al Qaeda could not have planted explosives in the towers; therefore there were no explosives in the towers. But explaining this is more difficult than I've indicated, because they have to explain them in a politically acceptable way. That is to say: they cannot ever consider the possibility that some "conspiracy theories" may be more credible than the corresponding official stories. So all their research has to run backward. They can't connect cause and effect in the logical way, so they do it in reverse. And this is how they get the idea that we believe conspiracy theories because we don't trust the government. To be sure, some researchers will grant that we don't trust the government because we know more about the government than those who do trust it. But they can't admit that what separates conspiracy theorists from the people around us is our greater knowledge of topics such as history and government! Instead they claim that we believe conspiracy theories because we don't trust the government, when in fact the opposite is true: We don't believe the official stories because they are clearly false. And this is why we believe conspiracy theories, and this is also why we don't trust the government. Distrust in authority "plays into this rejection of the reigning or orthodox narrative of some subject," says Syracuse University professor emeritus of political science Michael Barkun, author of A Culture of Conspiracy. "We want stories and narratives that make sense of the world," Barkun says. "The idea that such an event like the sudden destruction of landmark buildings like the World Trade Center could be caused by 19 nobodies belonging to an organization that almost no Americans had ever heard of, living in ragged encampments in Afghanistan, simply, I think, made no sense to some people." Some of them went on with their lives and didn't think about it anymore. What could they do about it? So why should they worry about it? What's so mysterious about that? The rest of us did worry about it. We didn't just get on with our lives, because we could see that something fundamental had changed, in a truly awful way, based on a story which couldn't possibly be true. It bothered us, and we thought we lived in a democracy, because we've been taught that we have some influence in the political process, so we got active. What's so mysterious about that? Researchers who study conspiracy theorists point to the dismissal of an official "lone nobody" conclusion on 9/11 as sharing similarities to the continued obsession with the assassination of U.S. president John F. Kennedy in 1963. It's a diversion and a red herring, and the word "obsession" is a smear, but in sad fact, the JFK assassination and the 9/11 attacks display many similarities, some of which are relevant enough to discuss here. For serious researchers, the main point of interesting similarity is not that "Oswald was a nobody" and "Nobody had ever heard of al Qaeda," although these curious facts may have piqued some interest for some of them at one time. Personally, I've never given either of these ideas any thought at all, except when I've stumbled over them in propaganda pieces. Does this matter? YES! As Webster Tarpley keeps reminding us, we always need to ask: Did they have the physical and technical capabilities to cause the observed effects? And the answers, in the cases of JFK and 9/11, are clearly "NO!" Why? The sight on "Oswald's rifle" was out of alignment. The FBI fired it for testing, and their expert marksmen couldn't hit any targets with it. So they adjusted the sight and tested it again. But Oswald, who was not a marksman at all, was said to have caused 7 wounds with 3 shots, firing at a moving target, all in 6 seconds, with that rifle, before the sight was adjusted. Oswald's pistol was in even worse shape. It wouldn't fire at all because the firing pin was bent. So the pistol was disassembled, the firing pin was straightened, and the pistol was reassembled so that it could be tested. But Oswald was said to have killed Dallas policeman J. D. Tippit, with that pistol, before it was repaired. We don't have problems with the story because "Oswald was a nobody." We would have been much more reluctant to accept the story if we'd been told that JFK was killed by somebody famous -- like Frank Sinatra or Doris Day. On the contrary: aside from the obvious tampering with evidence, we have problems with the official story because Oswald lacked the physical and technical means to commit the crimes for which he was accused. With 9/11, we have the same pattern, and the primary illustration is this: al Qaeda could not have put explosives in the towers, so the official story doesn't try to explain how they did; instead it pretends there were no explosives in the towers at all. How do we know al Qaeda couldn't have put explosives in the towers? We have two main ways of knowing this. First, according to defenders of the official story, nobody could have put explosives in the towers. It would have taken too long, somebody would have noticed, and so on. Presumably this logic applies equally, or especially, to nasty-looking foreigners who have no reason to be in the towers at all. And second, if al Qaeda could have put explosives in the towers, then the official story-tellers would admit the presence of explosives and blame them on al Qaeda, which would be much easier than trying to suppress all the evidence of explosives, if only it could be done at all. But that's not the only impossibility in the story. The alleged hijackers had no idea how to fly a jumbo jet -- according to their instructors, they could barely fly a Cessna -- and yet they were said to have performed low-altitude maneuvers that the best pilots in the country couldn't match, at speeds which would have been far beyond the capabilities of the aircraft. The terrorists had no way of disabling America's security systems, from airport surveillance videos right up to the US Air Force. But they are said to evaded every defense along the way. And no magician has ever made a jumbo jet disappear into a field, leaving only a 20-foot wide hole and no wreckage. But that's what the plane in Shanksville is supposed to have done. The list of impossibilities goes on and on. But we don't have to examine all of them to see the same pattern that we saw in the JFK case. It doesn't matter whether anybody had ever heard of al Qaeda. We don't buy the official story because the alleged hijackers lacked the physical and technical means to cause the effects for which they were blamed. As I mentioned in the previous post, no "report" in such a format could be anything but cursory and shallow. The format: (1) Reduce all the implausible aspects of the official story to a short list of bullet points. (2) Then, for each point: Reduce all the relevant evidence and all its implications to a single sentence, a crazy one if possible; then "debunk" it with a "telling quote" from an "expert source." It's a combination of logical fallacies, primarily Special Pleading, Straw Man, and Appeal to Authority. And it's all predicated on the notion that "denied" means the same as "debunked." But in PM's case, the format was the strongest part of the "report." The so-called "evidence" presented by PM wasn't even weak -- it was ludicrous. Thus, contrary to Matt Kwong's assertion, the "report" from Popular Mechanics was neither "special" nor "exhaustive," and because they can't give us anything more convincing, and because nobody else even wants to try, it may be time to consider the possibility that "a sizeable population of Americans dispute the official account" because it's simply not true! 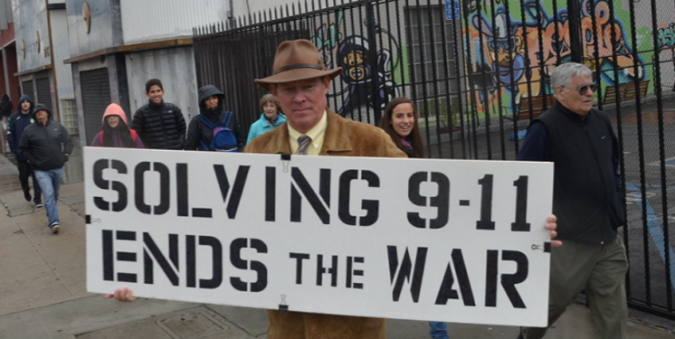 For his part, McIlvaine doesn't care about the Truther movement one way or the other, or about the many articles and investigations that have debunked 9/11 conspiracy theories. "I feel good about what I've done. My wife's happy about it, my [other] son's happy about it. I still go to bed," he says. "And I'll say I did what I did for Bobby." Bob McIlvaine is tired of being lied to, he's tired of being belittled and betrayed, and he doesn't care what anybody thinks anymore -- all of which is entirely understandable in my view, given what he's experienced. Matt Kwong paints him as a stubborn crackpot who started wondering why his son's body was found so soon, fell into a hole called the Internet, and wound up believing the craziest nonsense -- and he leaves it to the reader to fill in the gaps: the 9/11 truth movement endures because it's made up of stubborn crackpots who started out asking simple questions and fell into the same hole. That may be true in some instances, but for me personally it's despicable slander. I know the official story is false because so many of its features are physically impossible. I don't care how many accessories after the fact call me crazy. And I am not one in a million -- I am one of many millions! We're smart enough to spot an obvious lie, even though we've heard it a thousand times. And we're brave enough to say so. If that makes us stubborn crackpots, so be it. Like it or not, that's the reason we haven't gone away. And we're not going away anytime soon. Sorry, Matt! You lose! You had all the pieces in your hand and you couldn't -- or wouldn't -- put them together. Sorry, CBC. You lose, too! There will be a special place in Heaven for any mainstream news organization that's brave enough to treat this issue with the integrity it deserves. But so far we have none. On the other hand, Congratulations! You've made my list!